Now ordering your favorite meal from Benny’s Tacos is even easier thanks to our online ordering system. We proud to offer professional catering services for any event such as parties, lunch meetings, or corporate functions. Let us bring the freshness to you. Come in to Benny’s Tacos and try our specials including Taco Tuesdays, breakfast specials, student discounts, and LAX employee discounts. 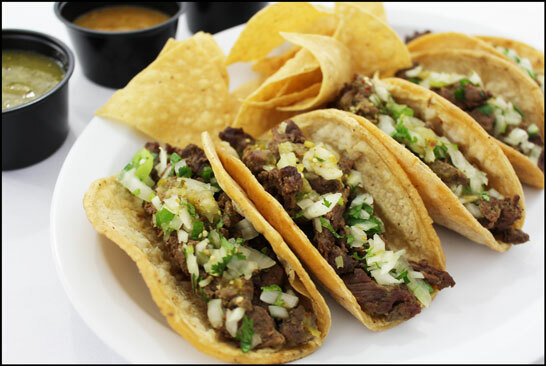 Benny’s Tacos serves the finest, mouth watering Mexican food to Westchester, Venice, Santa Monica, Marina del Rey, Culver City, El Segundo, and more. Welcome to Benny’s Tacos & Chicken Rotisserie. From our humble restaurants in beautiful Santa Monica, Westchester and Culver City, we pride ourselves on serving only the finest Mexican food in LA. From all of your classic favorites such as tacos, quesadillas, and burritos stuffed full of premium meats, beans, and rice, to exciting new tastes and treats such as our churros packed with vanilla filling, there is always another great dish to try at Benny’s Tacos. Do you love our food so much that you want it at your next event? Maybe you are craving some delicious Benny’s Tacos but don’t feel like leaving the house. Well you are in luck! Benny’s now offers catering as well as delivery to the West LA area including Venice, Santa Monica, Marina del Rey, and more! Whether you’re looking to spice up your next office meeting, or just celebrating at home, Benny’s Tacos catering is the perfect party food to please the whole crowd. When you come to Benny’s you’re not just getting some truck taco. From our delicious homemade salsas to our fresh handmade tortillas, Benny’s Tacos delivers an experience like no other. We love being able to deliver amazing, top quality meals made to order to all of our friends and our community. Come visit us in Westchester or Santa Monica and experience the best of West LA Mexican dining.